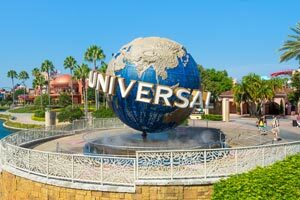 With a stay at Enclave Hotel & Suites Orlando, a staySky Hotel & Resort in Orlando (Sand Lake), you'll be within a 5-minute drive of ICON Orlando and Madame Tussauds. This family-friendly hotel is 0.4 mi (0.7 km) from Universal Orlando Resort™ and 1.8 mi (2.9 km) from Universal CityWalk™. Make yourself at home in one of the 270 air-conditioned rooms featuring refrigerators and microwaves. Rooms have private furnished balconies or patios. Cable programming and video-game consoles are provided for your entertainment, while complimentary wireless Internet access keeps you connected. Bathrooms feature shower/tub combinations, complimentary toiletries, and hair dryers. Dip into one of the 2 outdoor swimming pools or enjoy other recreational amenities including an outdoor tennis court and a fitness center. Additional amenities at this hotel include gift shops/newsstands, wedding services, and a television in a common area. Getting to nearby attractions is a breeze with the area shuttle (surcharge). Satisfy your appetite for lunch or dinner at the hotel's restaurant, Food Court, or stay in and take advantage of the room service (during limited hours). For your convenience, a complimentary breakfast is served daily from 7 AM to 10 AM. The preferred airport for Enclave Hotel & Suites Orlando, a staySky Hotel & Resort is Orlando, FL (MCO-Orlando Intl. ).